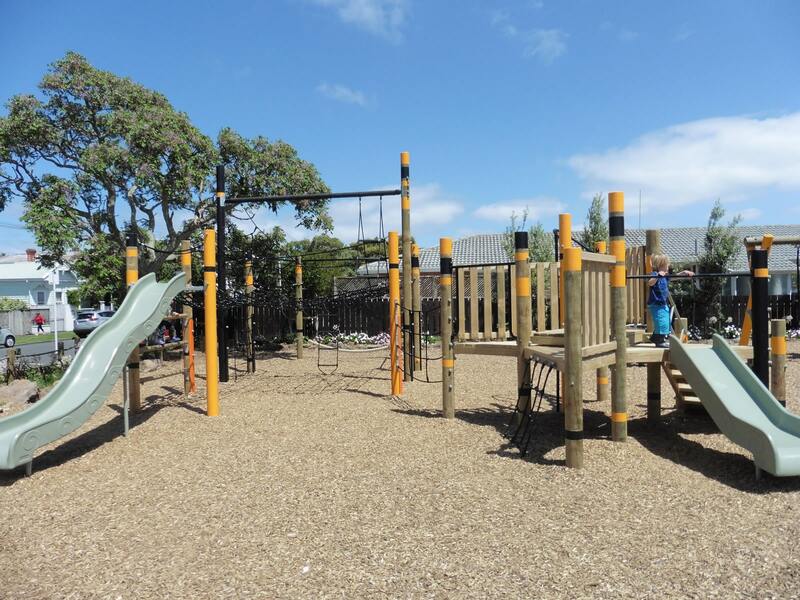 Essex Reserve, a bustling neighbourhood park in the heart of Auckland’s Mt Eden Village, needed a playground upgrade that combined urban appeal and natural warmth. Nestled close to popular cafes, restaurants and shops, the Reserve is a community haven for play and relaxation. 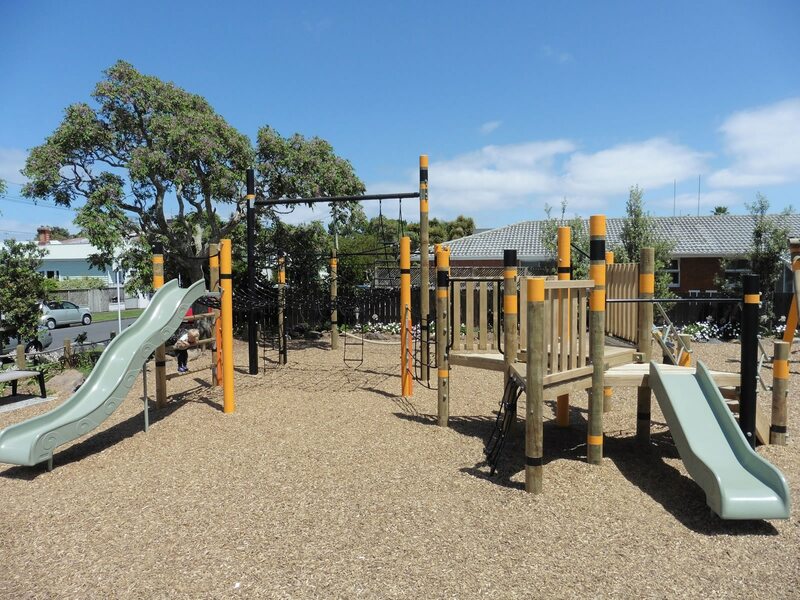 Faced with a limited budget, the challenge was to maximise Auckland Council’s value for money while providing a welcoming and adventurous playground for locals and visitors. 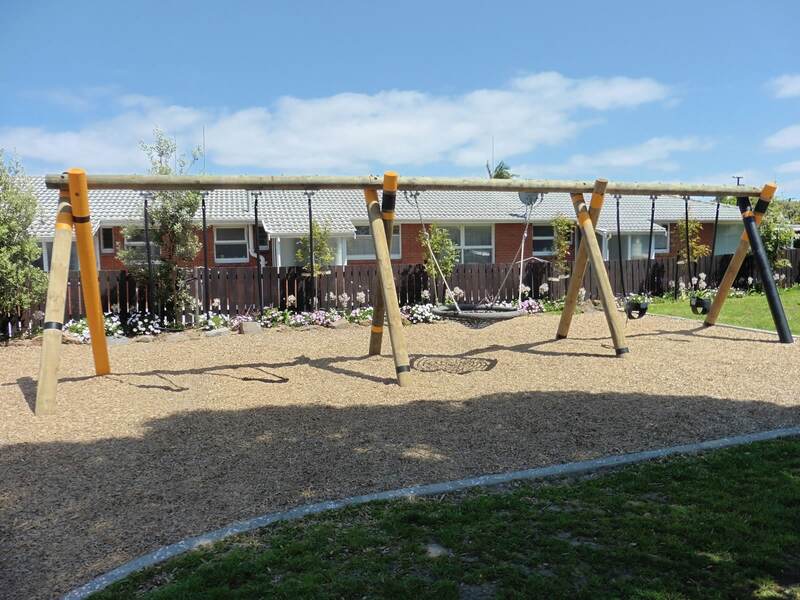 Playground Centre worked closely with Auckland Council to create an imaginative play space to match this dynamic inner-city neighbourhood. Importantly, it was also designed to complement the natural ambiance of Essex Reserve. 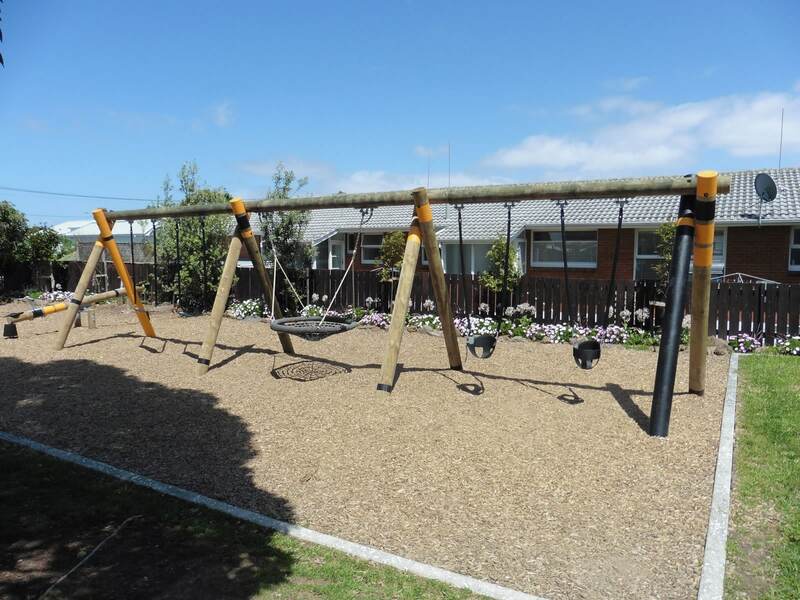 The custom-designed equipment includes a beautiful timber log see-saw and triple swing set with flying saucer basket. 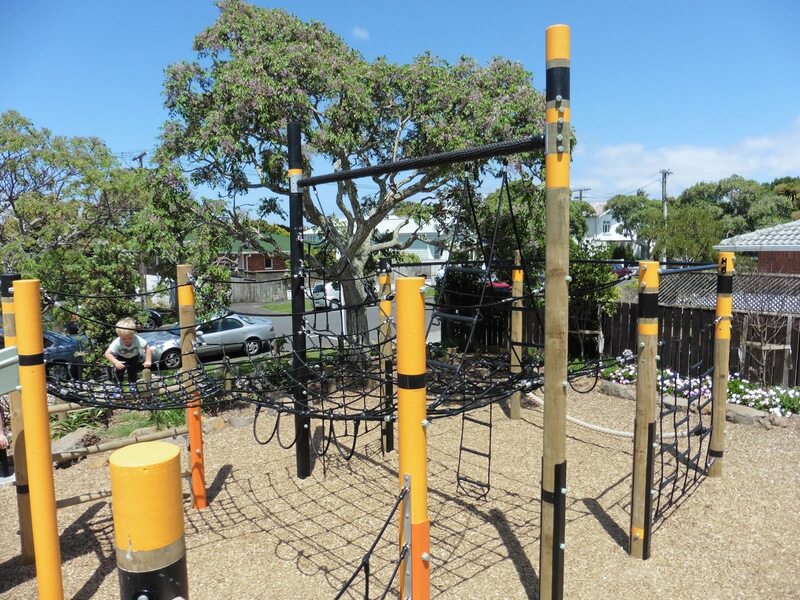 A modern set of rope nets, arranged in the shape of a ship, provides hours of multi-level climbing fun and activities across different ages and abilities. 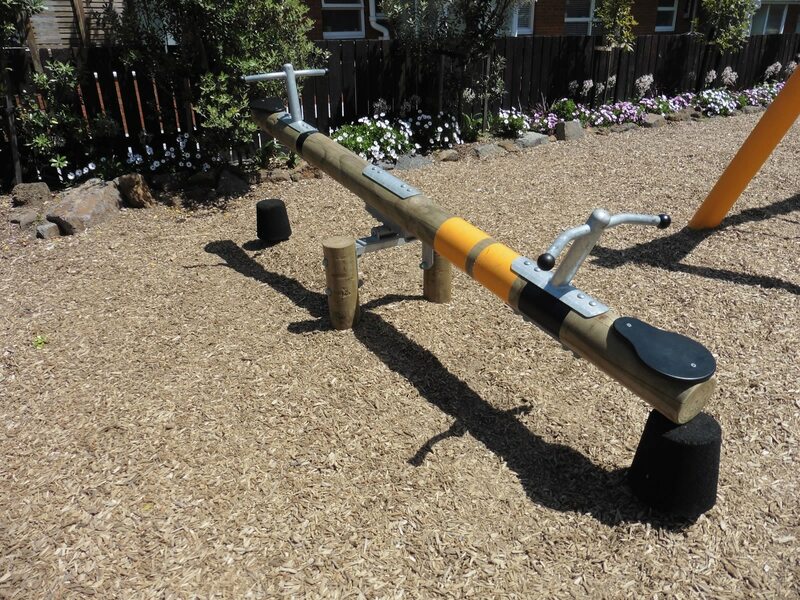 Handpainted features on selected play equipment bring a distinctive, friendly touch to make the space even more inviting for families. 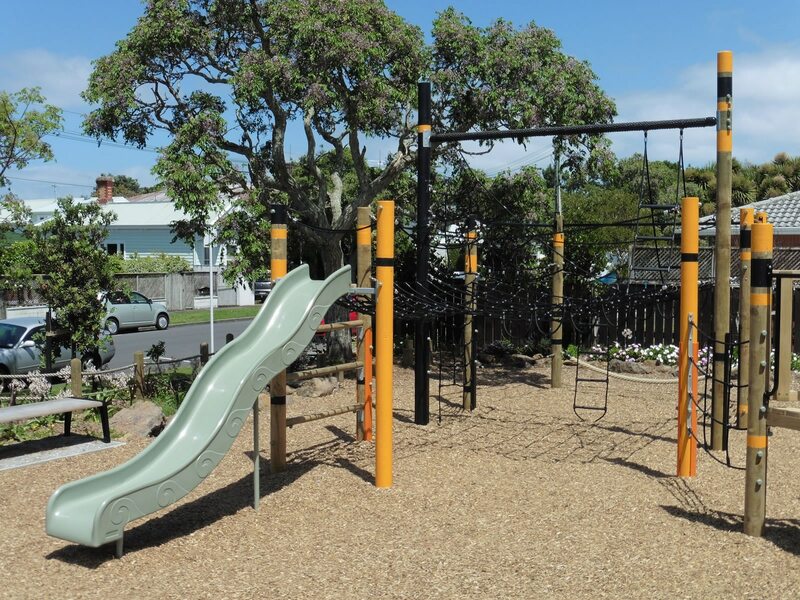 The end result is a contemporary and fun urban playground with the peace of mind that comes with outstanding safety, value and durability.